Madonna is buying house in the favela Vidiga in Rio and it is disliked by the locals. Apparently the Vidigal Morro is increasingly popular with mega famous neighbours like David Beckham. 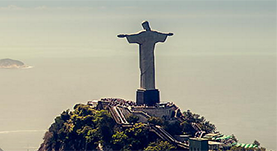 Vidigal Morro has one of the most beautiful views of the sea and privileged in Rio capital. The community is in the south, between the neighborhoods of Leblon and Sao Conrado. In November 2011, Vidigal and its neighboring community, Rocinha were pacified by the Police.